Online social networking is “broken”, Google+ is Google’s attempt to fix this, and the service will change fundamentally all of the Internet giant’s products, from search to YouTube. These are the key messages to come out of a recent Q&A session between SA journalists, including TechCentral editor Duncan McLeod, and Google+ chief of staff Matt Waddell at Google’s Mountain View, California head office. What follows is an edited extract of the meeting with Waddell. Why Google+, beyond the obvious? It’s an attempt, across the whole company, to make all of Google better by focusing on your identity, your relationships and your interests. Lots of people use Google search, lots of folks use things like Google Maps, Gmail and Android. We are blessed with a rich portfolio of services. Google+ is the seed from which we can grow services across all of Google, and not just plus.google.com. Why should people use Google+ rather than, say, Facebook? Online sharing is broken today, so for most people online, you have a single group of undifferentiated so-called “friends” and it’s really difficult to share with that group of “friends” because it has your mom, your sister, your brother, your high school teacher and that guy you met at a conference three weeks ago. It’s really hard to share what’s important to you with an undifferentiated mass of people. In the real world, we have specific groups of people. We have our family, we have our co-workers and we share very differently. We want to fix online sharing, so you can share online just as you do in the real world. At the core, we want to bring real-life sharing online because we simply don’t think it exists today. Is it about getting people to spend more time on Google properties? It’s not only that. That could be a happy side effect. We have a deep and rich portfolio of services and we have only scratched the surface in terms of delivering value from those services. We’re focusing on identity, relationships and interests to make all of our services better. Where are you succeeding with Google+ where you didn’t succeed with other social services like Wave and Orkut? 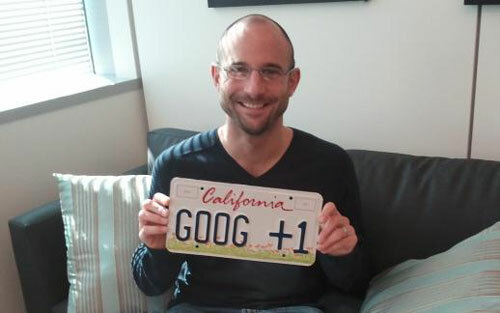 The key to Google+ is the “Google” in “Google+”. This is not a side piece of Google in some corner of the company. This is a company-wide effort to make Google more social. We’ve launched the “plus”, which is this core service that gives you the chance to express who you are, tell us who the people you care about are, and gives us a chance to know what you’re interested in. Now we’re going to ship the “Google” in “Google+”. You are going to see increasing opportunities and examples of making search better and making YouTube better and making Gmail better and making Android better. Over the next six, 12, 24 months, that will be the big story and for us in terms of the investments we are making in making all of Google better. The opportunity we have is not just the plus.google.com subdomain, but making a better experience right across Google. Are people coming to Google and using these Google+ features all across Google as opposed to using a specific corner of a specific offering? For us, that’s the most exciting part. You can come to YouTube today and your homepage is optimised to show you what your friends have shared on Google+. You don’t necessarily have to go to plus.google.com. You can go to Google search and the folks you added to your “Circles” are recommending Web pages for you. Likewise, you can go to Gmail and someone sends you a mail with image attachments and with a single click you can share those images on Google+. By design, we are trying to create a unified experience across all of Google. What about integrating Google+ with other social networks, like Facebook, to allow people to share between them? We’re still very young. We’re six or seven months old and there are so many things we still want to do and need to do to make Google+ a great service. I have nothing specific to say right now in terms of third-party integration, but our roadmap grows by leaps and bounds every day. There is more to do than we have people to do it. What are the monetisation opportunities for Google+? There have been at least two flavours of monetisation in social media: on-site display advertising and virtual goods. We have no plans to monetise Google+ as this time. [That said] we have taken steps to enhance Google advertising with “social” as well. So, ads across the Google display network already include the +1 button. When you see a particular ad, we can tell you if one of your friends recommended that particular advertiser as well. So we’re making ads better with this core information of identity relationships and interests.